Common‘s inaugural AAHH! Fest, a collaboration between his Common Ground Foundation and Kanye West and Che “Rhymefest” Smith’s Donda’s House, Inc., took place in Chicago’s Union Park on Sunday (9/21). After scheduled performances from Lupe Fiasco, De La Soul, Jay Electronica, MC Lyte, Lil Herb, and more, with host Dave Chappelle, Common brought out heavily teased special guest Kanye West during his headlining set. 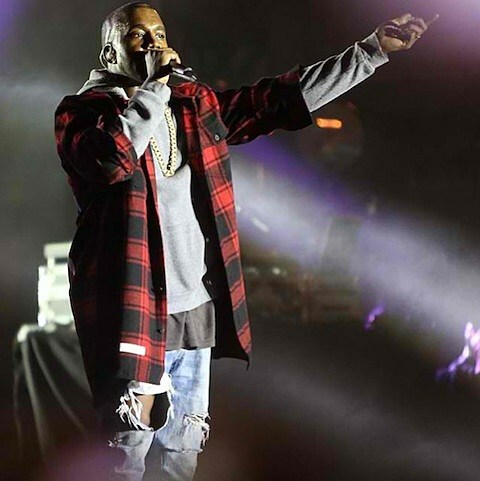 The pair delivered their The College Dropout collaboration “Get Em High,” and then Kanye ran through some hits including “Jesus Walks,” “Touch The Sky,” “Can’t Tell Me Nothing,” “All Of The Lights,” “Power,” and more. You can check out some videos at the bottom of this post (via All Hip Hop). Common also brought out Jay Electronica and late festival addition Vince Staples to perform the forthcoming remix of “Kingdom,” which was originally released by Common/Staples. Video footage of that is also available below (via Rap Radar). 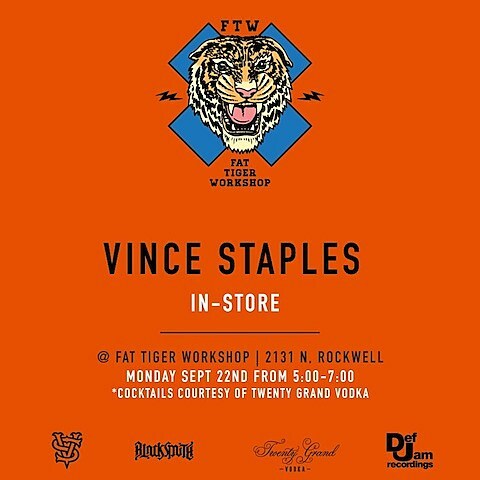 Long Beach, CA’s Vince Staples is still in town and will be playing a FREE in-store TONIGHT (9/22) at Logan Square streetwear shop Fat Tiger Workshop (2131 N Rockwell St). It’ll go from 5 to 7PM, with complimentary cocktails from Twenty Grand Vodka. No RSVP is necessary.